Since 1969, BCS has been providing nurse call and communications equipment for the healthcare industry. The BCS staff has the experience and resources to help your hospital, nursing facility, continuing care retirement community, assisted/independent living center, or medical practice communicate faster and more efficiently. BCS understands that you count on not only our products but our customer support. That’s why we have a service department comprised of the most experienced communications specialists in the region. We realize that the healthcare industry is 24/7 and that’s why we provide service 7 days a week, 24 hours a day, 365 days of the year. And, we are dedicated to responding to critical problems within a 2 hour timeframe. Learn more about the benefits of TekTone. 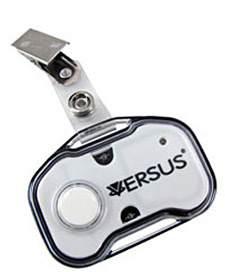 BCS is a supplier of the unique healthcare product line offered by Versus. 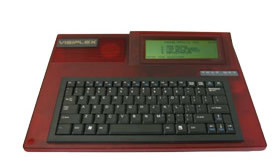 Combining state-of-the-art infrared (IR) and radio frequency identification (RFID) signals, the system can locate patients, staff, visitors, equipment, charts and additional assets tagged with Versus badges. Endorsed by the American Hospital Association, the Versus locating system has many benefits – all of which have been praised by CFO’s, HIM Directors, CMIOs, Nurses, and Integrators. Learn more about Versus advantages. BCS understands that today's changing world calls for wireless emergency mass notification, public address messaging, duress call stations, and campus wide time synchronization. While you hope you never have to use it – emergency communications is important equipment for college campuses, schools, government facilities, hospitals, medical centers, military bases, assisted living facilities, nursing homes, commercial plants and industrial complexes. 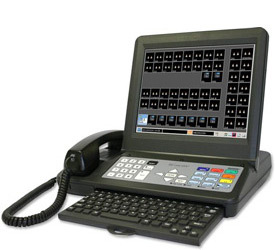 Learn more about our paging solutions.